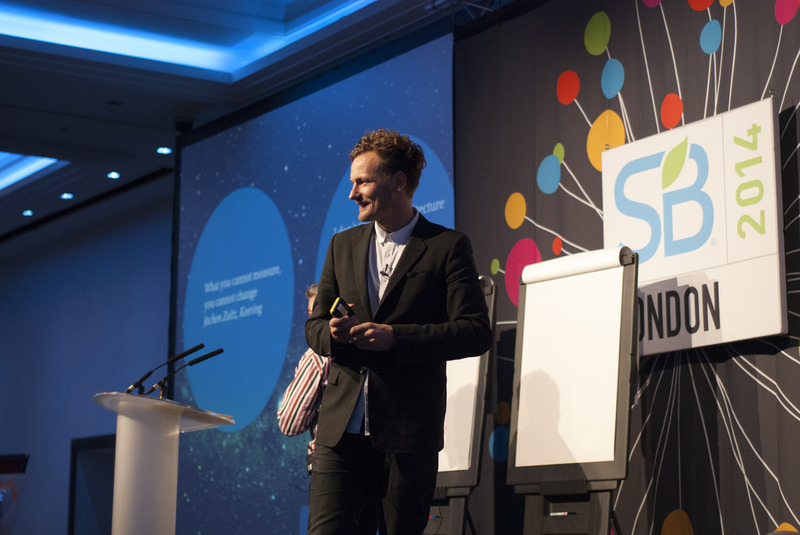 At Sustainable Brands London this year, one of the aspects that really stood out for me was the focus on how storytelling can be used to help brands engage their customers with the theme of sustainability. 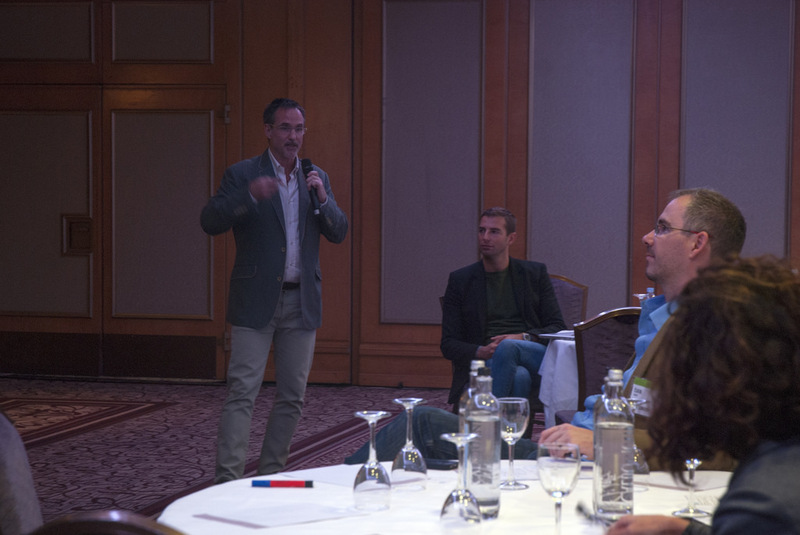 So for example on the first morning of the first day, Daianna Karaian and Stuart Duncan from Futerra ran a workshop which focused on how to tell a sustainable brand story which customers will listen to. Does the story define an ambition beyond commercial aspiration? Does the story define a clear enemy? Is the story being used to drive innovation throughout the company? Have you defined a few iconic innovations to focus on? Are people outside the company engaged and participating in the story? It was also great to spend some time with Thomas Kolster, author of Goodvertising and the founder of the Goodvertising advertising agency. Thomas’ work is based around the questions of can advertising be a force for good, can it bring around positive social and environmental change and should advertising tell the truth about brands? Storytelling when done well can certainly be an extremely powerful force for good. I don’t know if I need to point this out, but at no time at Sustainable Brands did anyone suggest just inventing a story out of thin air for a brand. Storytelling is about authenticity, it is about engaging people with what you are doing, it is not about pure fiction. However it does seem that two Brazilian companies didn’t receive the memo, and they are both in hot water for doing just this. Inventing stories, one inventing a fake history, and the second inventing stories of where their products and supplies come from. The first case is that of ice cream company Diletto, who tell the story of how their recipes were first invented in 1922 in Italy by Vittorio Scabin, one of the grandfathers of one of the founders. 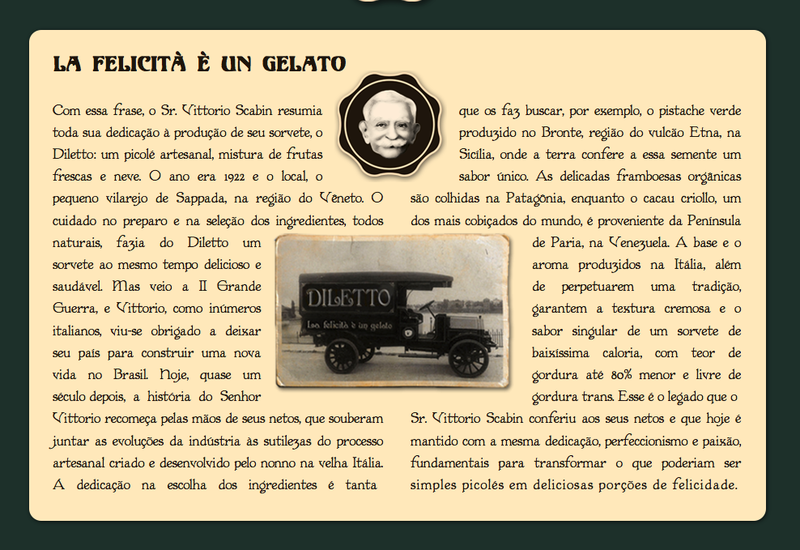 The truth of the situation, as magazine Veja reports this week, is that Diletto was created in 2008, and while Scabin is the surname of one the founders, whose grandfather is Italian, he was a gardener who knew nothing about ice-cream. The second example of fake storytelling is somewhat more serious I would say. Maria and I were big fans, but this sustainable juice company has for us, pardon the pun, left a sour taste in our mouths. Do Bem are a relatively new company, having launched their first drink – Coconut Water just a couple of years ago. When I first saw their packaging, it seemed to me that they had really studied Innocent from the UK in terms of the “wackaging” – bright and brash packaging using chatty, casual, matey and at times babyish language which describes itself in the first person. As you can see from their website above, in their section about themselves they explain why they are here and why they want to change the world, their incredible history and their mission which makes people want to get out of bed. DoBem™ want to do good, which is reflected in their name – Do Bem – which can be translated perhaps as “Of Goodness”. So what is the problem with their storytelling? 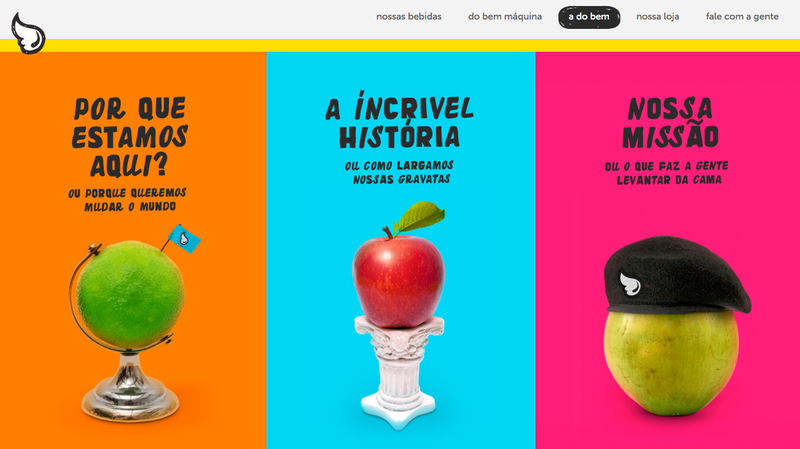 The problem is that Do Bem have a story about where their oranges come from. 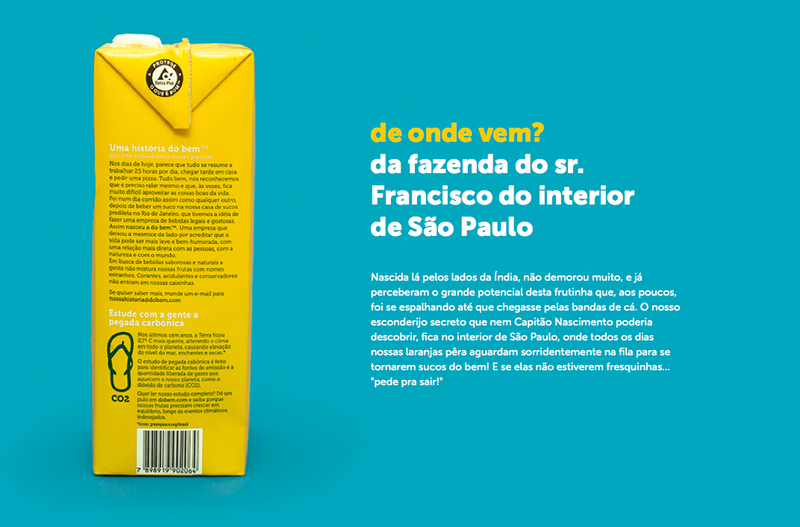 The image above is from their website, and as you can see, we are told that Do Bem oranges come from the farm of Mr. Franciso, which is to be found in the state of São Paulo. This justifies the premium pricing of the product, as Do Bem are supporting small organic farmers. The reality, again reported by Veja, is that the oranges are produced on an industrial scale, and come from wholesalers such as Brasil Citrus, who also supply the majority of the biggest supermarkets. It is important to point out that no one is questioning the quality of produce of Brasil Citrus. But what Do Bem is now discovering is that there are limits to storytelling and there are limits to what consumers will put up with, especially engaged consumers looking to make more conscious purchasing decisions. It should be pointed out that Do Bem have replied stating that now that they have grown, they do utlise a wide range of suppliers, but in fact Mr. Francisco does actually exist (see the G1 report Histórias contadas pelas marcas Diletto e Do Bem vão parar no Conar). What they are doing with their packaging is highlight suppliers who are “special in their history”. Maria and I also ran a workshop at Sustainable Brands, and in our workshop we introduced participants to what for many was quite a strange exercise. 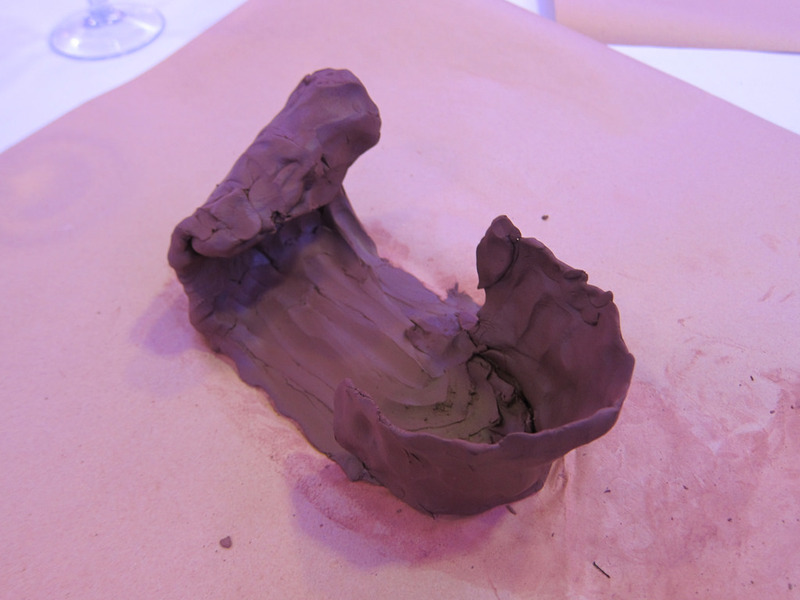 We gave everyone a lump of clay, and then blindfolded them. We played some sounds of trickling water and birdsong recorded in a forest, and asked people to model something in clay which represented their relationship to nature and their understanding of sustainability. As we have seen, there are already plenty of frameworks for developing storytelling in organisations, and these are excellent. Our exercise although either seeming a little strange, or a little basic, is actually a wolf in a sheep’s clothing. It can catch people by surprise, as it directs us into some very deep corners of our psyches and brings up some hidden stories which we may not normally explore just through our every day levels of consciousness.While many of these are of course positive and creative, and can help us develop stories around our brands, other stories reflect our shadows. In this picture above, we see both a wave and a dam. This was a particularly striking example of what we can experience in this exercise, and the participant who created it felt unable to share the story of this creation during the workshop. The reason is that she felt that while other people had all created positive visions in clay, she herself had created the wave which represented the free flow of life, but also the dam which for her represented the blocking of nature, and perhaps the destructive tendencies of humanity to act against nature and the environment. This is quite a symbolic image, since I see in many people the desire to do good in the world, but also many blocks as well, some of which the more mindful have self-awareness of, and others who are so stuck in ego, they are unable to see both what is blocking their self-development, and how this plays out in organisational life, with ego blocking the creativity and flow of others. So what can we learn from all of this? 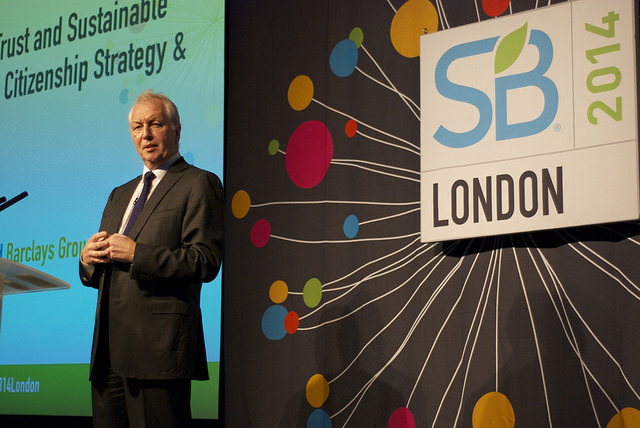 Sustainability is not a gap in the market to be exploited commercially. If we act from a place of integrity and authenticity, then there should be no need to resort to bogus stories about the origins of our products, services, projects and activities. If there is a lack of authenticity, then this will soon be found out by those we are seeking to hoodwink. If your brand is predicated on treating those you seek to serve as idiots, any brand value you build up will not be sustainable. The highest form of wisdom is self-knowledge. Sometimes we hide from ourselves, and this can be manifested in the false narratives we tell others about ourselves, and the narratives we also tell about other people, as a form of ego-defence. When working with clay, if we enter the exercise with the desire to really explore the stories within us, then where we do encounter shadows, we find the exact areas of both ourselves and our brands that we may need to do some work on to achieve the level of authenticity and integrity which is expressed in our advertising and publicity. Sustainable Brands London was the first Sustainable Brands summit I had attended, and I really have to say it was a quite phenomenal atmosphere to hear so many inspirational stories, such as Aly Khalifa discuss a very holonomics and disruptive business model for Lyf Shoes, Mathieu Delcourt from Intermarché discuss the project to reintroduce ugly fruit and vegetables into supermarkets, and Nigel Stansfield from Interface discussing the way in which fishing nets from the Phillipines are recycled into materials that can be used in their flooring solutions, to name just three. In addition to these uplifting stories, we also heard from Dave Wheldon, Head of Brand, Reputation and Citizenship at Barclays Group. Barclays really have a monumental mountain to climb following the scandal relating to the manipulation of LIBOR, and as Whelan put it, “culture change is painful and difficult”. Consumer trust in banks and the financial sector has been shattered, and it will take a long time before this fragile trust is regained. It is interesting that Ty Montague pointed out that whereas in storytelling companies, the ownership of the story normally resides in one department, usually the marketing department. But in storydoing organisations, the story is held in the entire leadership team, and this therefore leads to a more holistic expression of the story. Storydoing organisations pay far less in terms of advertising, since the story generates so much buzz across social networks. Do Bem and Deloitte may find to their cost that their own advertising may well have cost them dear, in terms of lost good will and subsequently lost sales. They are now facing a backlash and strong narratives are now being told about their brands by ex-customers. It never had to be this way since they already have strong products. But brands which treat their customers like idiots are not sustainable brands. It is amazing that large organisations with large advertising budgets are still failing to understand this basic point in the era of social networking. Those that do and who use advertising and promotions as a force for good will be the ones that thrive and prosper in a world of more conscious consumption.